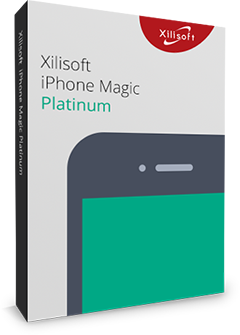 Xilisoft Photo Home DVD Maker offers the best solution to convert your entire photo collection to Home DVD movies, burn them onto DVDs, and view them from your Home DVD players. With Xilisoft Photo Home DVD Maker, making a Home DVD from your photos couldn't be easier: drag and drop your photos to the application, insert a blank DVD, then simply hit the "Burn" button! 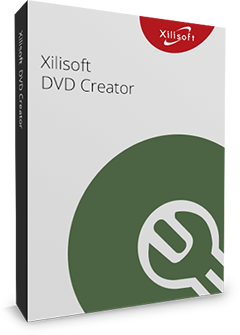 Xilisoft Photo Home DVD Maker can also create ISO files and Home DVD folders for your photo library. Moreover, you can apply cool transitional and image effects to your photo slideshow, rotate and flip photos, and insert your favorite audio files. You can also adjust various output, video, and audio settings to fully customize your Home DVD output. 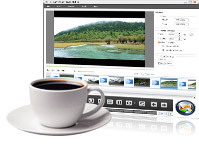 Convert Photos to DVDsLiven up your photo library by turning it into a DVD movie and view them on your DVD players. Create ISO Files and DVD FoldersCreate ISO files and DVD folders for your photo collection. High-Speed Photo to DVD ConversionTakes full advantage of the speed of your multi-core CPU system during photo to DVD conversion with multithreading and multi-core CPU processing fully supported. Add Transitional EffectsApply fade-in and fade-out effects or many other feduring photo transitions; adjust the transition duration. Add Image EffectsSet how you want your images to appear during playback; set image rotation: 90°clockwise and anticlockwise rotation, flip, autorotation. 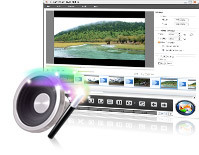 Add Audio FilesIntroduce background music to your photo slideshow; add multiple audio files to a single DVD movie; set audio to loop during playback; apply audio fade-in and fade-out effects. Adjust Output ParametersAdjust various output, video and audio parameters including: writing speed, volume label, video quality, audio channel and quality. NTSC and PAL standards are both supported, thus there's no impossibility of playing created DVD on any DVD player no matter in European, North American, Asia, or any other places. Auto-Add ChaptersAdd chapters to your DVD title automatically according to a predefined interval. 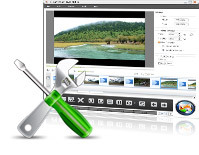 Set your copy of Xilisoft Photo DVD Maker to auto-exit, shut down, hibernate, stand by your PC, or do nothing at the end of the photo to DVD conversion process. 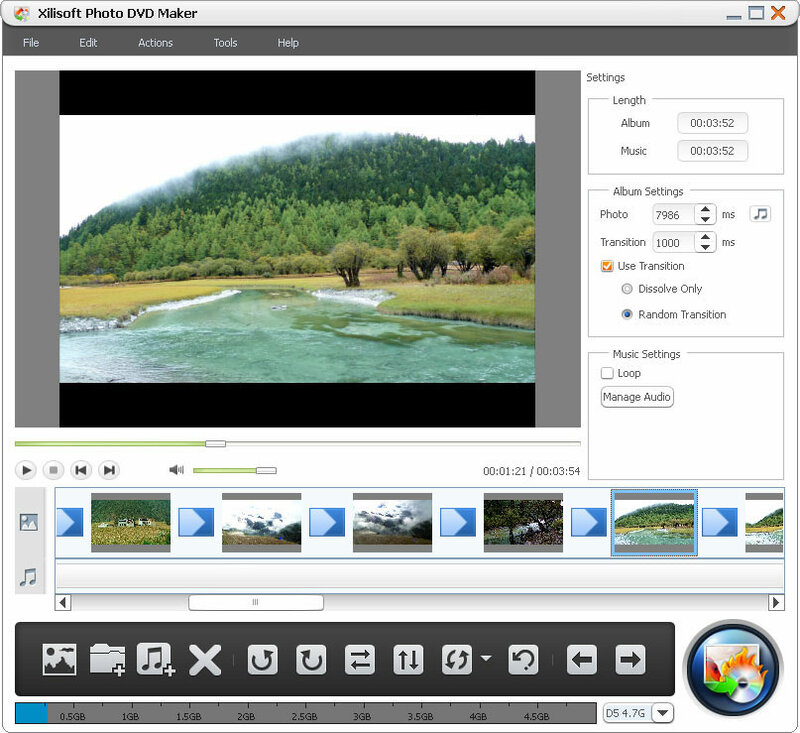 Xilisoft Photo DVD Maker's interface is available in 7 languages: English, French, Spanish, German, Japanese, Simplified and Traditional Chinese.